During the Sweet Corn Festival, Sun Prairie residents and visitors take in the town square area, which combines historical buildings with new condo development rapidly working to strength the city’s downtown. The development boom coming in from Madison is very evident along this stretch, passing U.S. Highway 151 (now an expressway from Madison all the way to Fond du Lac) and going into the heart of Sun Prairie (pop. 24,219), one of the fastest-growing cities in Wisconsin. 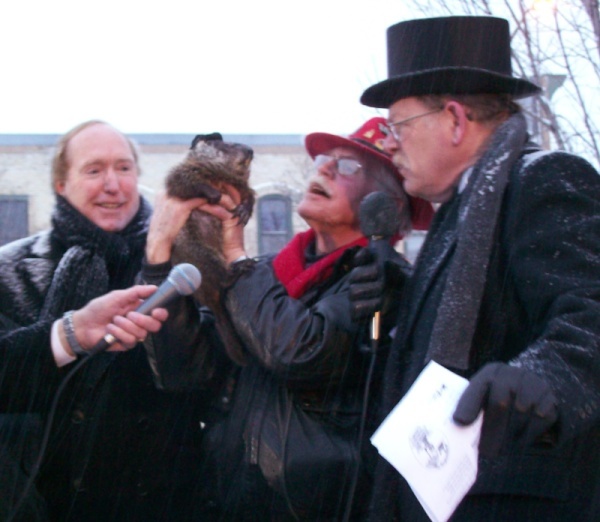 Forget Punxsutawney Phil in Pennsylvania: Sun Prairie holds the official title of “Groundhog Capital of the World”, as noted in the Congressional Record. Jimmy the Groundhog makes his annual prediction in Sun Prairie on February 2nd. Why February 2nd, you might ask? Well, apparently it’s because that’s a “cross-quarter day”, normally the midway point between the Winter Solstice and the Vernal Equinox. 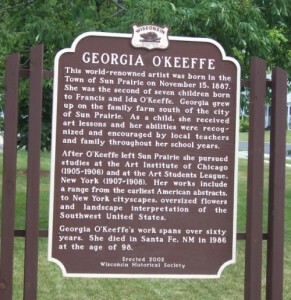 Along with Groundhog Day, Sun Prairie is known for being the native hometown of Georgia O’Keeffe, whose famous paintings continue to inspire and influence artists worldwide. 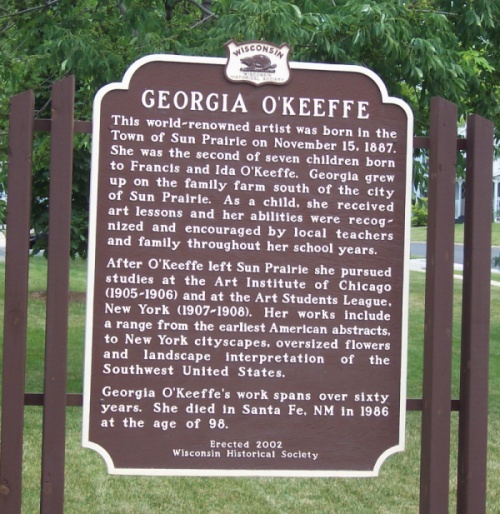 Her parents’ names were Francis Calyxtus O’Keeffe and Ida Totto O’Keeffe, in case you were worried that Wisconsin dairy farmers who sire famous artistic offspring don’t have unique enough names. Sun Prairie is a racing town, too. Angell Park Speedway is a 1/3-mile dirt track hosting midget races from mid-May through Labor Day weekend. Drivers like Tony Stewart and Jeff Gordon have hauled around this track, which also hosts the National Midget Racing Hall of Fame. Open during the racing season, the Hall salutes drivers like A.J. Foyt, Parnelli Jones and Ron “Sleepy” Tripp, who got his nickname because he would often fall asleep in the cockpit of his racer waiting for the next race to begin. Past Sun Prairie, countryside takes over for the ride to Marshall. You come across some interesting stuff along the road sides.